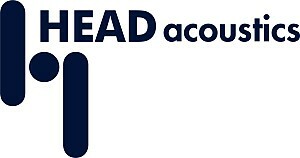 HEAD acoustics GmbH is one of the world’s leading companies for integrated acoustic solutions as well as sound and vibration analysis. The company benefits from the combination of cutting-edge measurement technology with many years of practical experience in the industry. HEAD acoustics is receiving global accolades for its expertise and its pioneering role in the development of hardware and software for the measurement and analysis for the optimization of sound quality. Especially in the field of brake development HEAD acoustics offers ideal solutions to detect and record brake noise and vibrations as well as the relevant parameters. The core in this area is the BrakeOBSERVER system which provides automatic detection of brake noise. The Relative Approach Algorithm developed by HEAD acoustics and once patented is based on the pattern recognition characteristics of the human ear and provides excellent detection results with respect to the noise-causing brake. To ensure a worldwide presence and availability, the German company has subsidiaries in France, Italy, Great Britain, China, Japan, South Korea and the USA and works closely with international sales partners.